2006 ( US ) · English · Terror · PG-16 · 110 minutes of full movie HD video (uncut). You can watch The Omen, full movie on FULLTV - Many believe the prophecy from the Book of Revelation, also called Revelation presents the map of a terrible future ? ? or has chronic fragments have come true in our time. The signs proclaim, they are around us in the form of terrorist attacks, extreme weather ? the list goes on. The passage specifically points to the arrival of the Antichrist, which is marked with the number sequence "666 ": the mark of the Beast Robert Thorn completely ignores these dark prophecies. Thorn, an American politician of high rank, has other things in mind. His wife, Katherine, has endured a difficult delivery and does not know that his newborn son has died. The health center's priest, Father Spiletto, presents Thorn with another child born that night, whose mother died in childbirth. The priest compels Thorn to take the infant boy as his own ; Kathryn never know the truth, and his son, which they name Damien, will be raised as them. Kathryn embraces the child as his own, turning on him like any mother, Thorn, it seems, has made the right decision. But certain events, apparently revolve around Damien, which has now five years old, are deeply disturbing. The distressing incidents multiply, indicating that something bad, extremely bad, about Damien. The prophecy is clear, the signs leave no doubt: it is time of Armageddon. This film is a remake of La profecía (1976), the remakes are new versions of the same story. 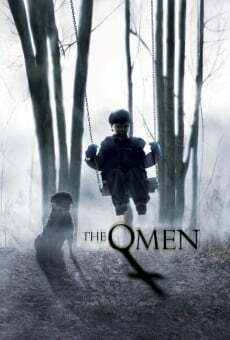 You are able to watch The Omen online, download or rent it as well on video-on-demand services (Netflix Movie List, HBO Now Stream, Amazon Prime), pay-TV or movie theaters with original audio in English. This film has been premiered in theaters in 2006 (Movies 2006). The official release in theaters may differ from the year of production. Film directed by John Moore. Produced by Jeffrey Stott, Giovanni Lovatelli, Peter Veverka, David Harfield, John Moore and Glenn Williamson. Screenplay written by Dan McDermott. Commercially distributed this film: Twentieth Century Fox Home Entertainment Germany, 20th Century Fox of Germany, Twentieth Century Fox Film Corporation, Warner Bros., Twentieth Century Fox Home Entertainment, Mainostelevisio (MTV3), Sub, RTL Entertainment, 20th Century Fox, 20th Century Fox Home Entertainment, Film1, Fox-Warner, Hollydan Works, Twentieth Century Fox C.I.S., 20th Television, 20th Century Fox Netherlands, 20th Century Fox de Argentina, FS Film and Forum Cinemas. Film produced and / or financed by 11:11 Mediaworks and Twentieth Century Fox Film Corporation. As usual, the director filmed the scenes of this film in HD video (High Definition or 4K) with Dolby Digital audio. Without commercial breaks, the full movie The Omen has a duration of 110 minutes. Possibly, its official trailer stream is on the Internet. You can watch this full movie free with English subtitles on movie TV channels, renting the DVD or with VoD services (Video On Demand player, Hulu) and PPV (Pay Per View, Movie List on Netflix, Amazon Video). Full Movies / Online Movies / The Omen - To enjoy online movies you need a TV with Internet or LED / LCD TVs with DVD or BluRay Player. The full movies are not available for free streaming.